I'm thankful that super busy days mean it flies by so quickly that I'm home before I know it! I'm thankful for the amazingly nice people who call in & are complete gems...the ones who make me giggle. I am so thankful for those people! They over-ride the meanies. I'm thankful I even have a job! My county has one of the lowest unemployment rates in Florida. Thank you, Jesus, for my wonderful job! I'm thankful I get along with all of my co-workers...makes the day that much better. I'm thankful that my job is literally a two minute drive from my house. Woohoo! I'm thankful that my job gives me the opportunity to contribute to the family fund. What are you thankful for because of your job? Surprise Cami, I am happily linking to your thankful post. I am so glad your job give you a feeling of thankfulness. So many people do not like their jobs. I do not work but you will see that I am looking towards fall and making soup for supper. I brought out my little thank you dishes to make my dinner thankful and special. have a totally great day out there.. I'm so glad that your job is working out so well for you! You are right, now it's a blessing to just have a job. I'm thankful for mine as well. Oooooh and company pets are so cool :) Enjoy your day! I love this hop! This week, I am grateful for the beautiful weather, for the sense of family and getting together. Have a great weekend and thanks for hosting. 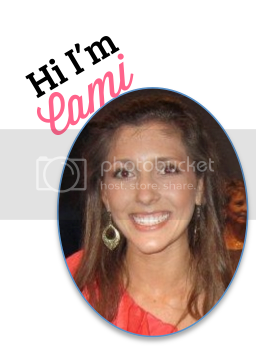 Cami, I am thankful for your sweet blogging friendship and for your precious heart! I am always blessed when I read your posts! Have a wonderful day. So happy you enjoy your job! That can sometimes be hard to come by - but it sounds like you've got a great job! Two minutes away from home is awesome!! And getting along with co-workers is so big and something to be so thankful for. So glad work is going well for you!! I am thankful for my sweet and caring boss...such a wonderful man. And the fact I get to work alone and in peace.